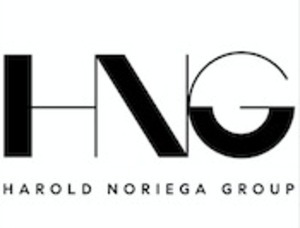 The Harold Noriega Group approaches real estate with a positive spirit and always produces winning results. Specializing in coastal Orange County luxury properties with over 1 billion dollars in sales, HNG represents both buyers and sellers ranging from South Laguna Beach to West Newport Beach. Taking pride in their honest work ethic and emotional intelligence, HNG removes the stress from home-buying and provides a transparent transactional experience that consistently proves that integrity and honesty is the only way to approach real estate. HNG measures the team’s success through quantifiable insights and metrics, objective key results and predictive analytics that are powered by Compass technology. Organic lead-generation and introduction to quality clientele through referrals gives the team time to focus on a balance of traditional advertising and innovative technical marketing focused on target and lookalike audiences. Our strategy for success is simple: we are first and foremost client centered not agent centered. We are a very disciplined team that executes the plays that work. We adapt and make adjustments when required and listen carefully to our clients. Winning is a result of your preparation, practice and performance. See you on the podium!